I downloaded this a while back, but since I do not run anymore, I have not had an opportunity to try it out. It’s a bit cold today for a ride but I still need some exercise, so I dusted off the old running shoes and went for a jog. 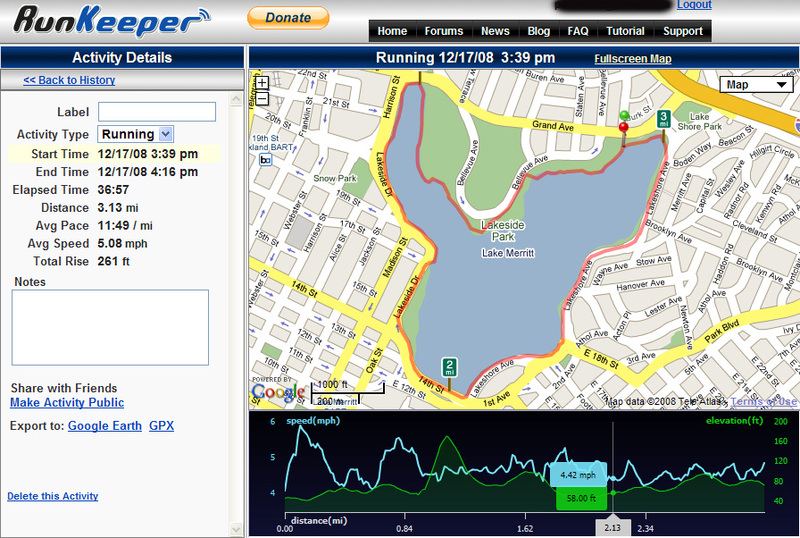 Setting up runKeeper is pretty easy, go to setting provide your email and create a password. If you do not have an account, it will create one on the fly for you. This is the first GPS logger app I’ve seen that does that. I cannot understand why the rest make you go to a website to create an account. The other feature I like; is keeping a history of past runs. Another feature I would like to see on other apps. Stopping and starting is simple enough. Large start, stop and pause button. This is a pretty straight forward little app that does a good job of GPS read filtering, which in English just means it throws out data that does not make sense for someone who is running. You can change how aggressive this filter is working via the settings. The site is also pretty basic and straight forward, nothing surprising, but its also clean and well done. The adverts do not get in the way and I really like the flash speed/elevation graph at the bottom. Again, nothing we have not seen before, but just well done. 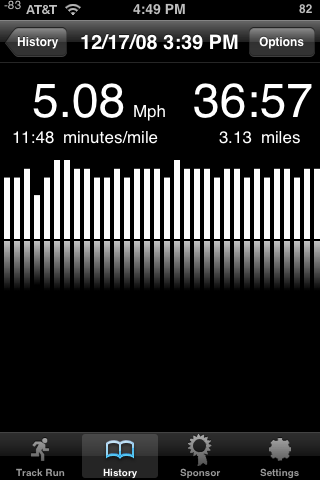 Which sums up my thoughts on RunKeeper.. Well done.